KANE, Audrey Lee, 92, of Richmond, went to be with the Lord on June 10, 2018. She was preceded in death by her husband Charles Curtis Kane and brothers Earl Lee Mantlo (Jane) and Patrick George (Cindy). She is survived by her daughter Kristie Kane Brown (Jerome); 4 grandchildren, Andrea Brown Riley(Michael Dustin), Victoria Kilgore (Christopher), Charles Kane, Benjamin Brown; a soon to be here great-grandchild, Cornelius Kilgore; sister Lynn Morris (Larry); brother, Kevin George; and a host of nieces, nephews, and faithful friends. Audrey was married to the love of her life Charles, a few years after he served in the US Navy during WWII. Audrey served as a faithful member of Cosby Memorial Baptist Church and after the closing of the church, a devoted member of Elkhardt Baptist Church until her passing. Audrey would say that she had her only child, Kristie, “late in life” and raised her in the church. 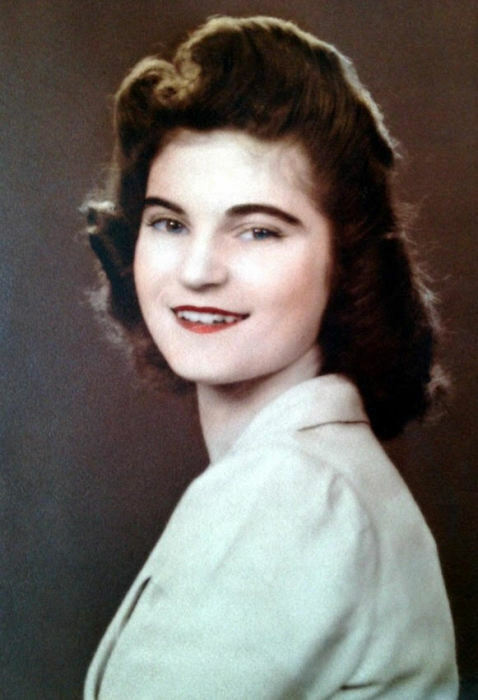 For many years, Audrey taught Sunday School to the children in her church. At the end of her life, she spent her days at Beaufont Health and Rehabilitation Center, where she enjoyed puzzles and spending time with her friends in the activity room. Audrey’s smile captured the hearts of her kind and loving caretakers at Beaufont. She passed away peacefully while resting and was surrounded by the love of her friends and family. The family will receive friends from 4-7 pm on Thursday, June 14, 2018, at Monaghan Funeral Home, 7300 Creighton Parkway Mechanicsville, VA 23111. A Memorial Service will be held 11 am, Saturday June 16, 2018 at Elkhardt Baptist Church, 6715 Hull St. Rd. Richmond, VA 23224.